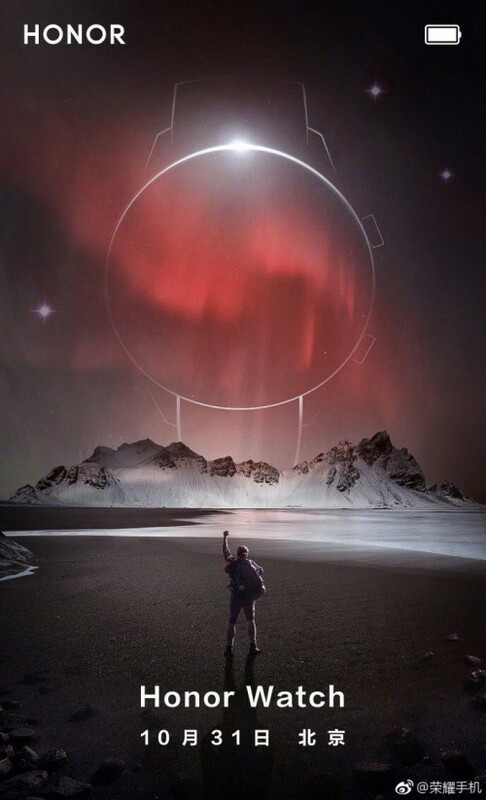 Earlier today the upcoming Honor Magic 2 Fullview display, slider smartphone was teased yet again, reminding us of its upcoming October 31 release date. As per a newly uncovered banner, it turns out the Magic 2 won’t be the only Honor device to be unveiled at the event. Clearly, the banner doesnt reveal much about the Honor Watch, but with some extrapolation and pixel-peeping, there might still be a few predictions to be made here. Most of these revolve around the recently announced Huawei Watch GT. It doesn’t really take much more than a silhouette to spot the resemblance between the two devices. Be it the pair of buttons on the right-hand side and their angle and position or what look like extending latches on the bottom of the Honor Watch frame, potentially hinting at a standard detachable watch band solution, like on the Huawei Watch GT. 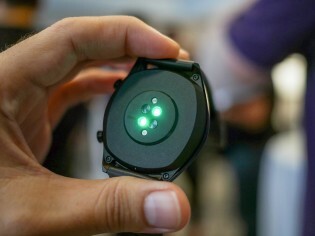 Taking this speculation even further and going by general smartwatch trends, we can assume some kind of stainless steel construction for the frame, an OLED panel, for its power efficiency and probably a heart-rate monitor – both inexpensive and good for delivering various activity-related metrics. The most interesting question in out mind, however, is whether parent company Huawei also provided its new custom wearable OS to Honor. 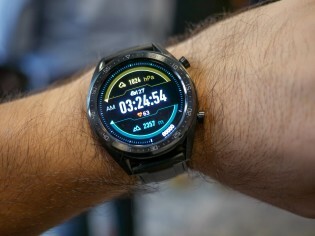 Seeing how the Huawei Watch GT runs on a proprietary OS, rather than Google’s Wear OS. This would actually make a lot of sense to potentially extend the user base of said new OS, which we still know pretty little about. In any case, even if development for it is not easily accessible at this time, a larger device pool and install base might just nudge things in that direction. Anyway, we’re just spitballing at this point, but hopefully, we’ll have more info soon enough.